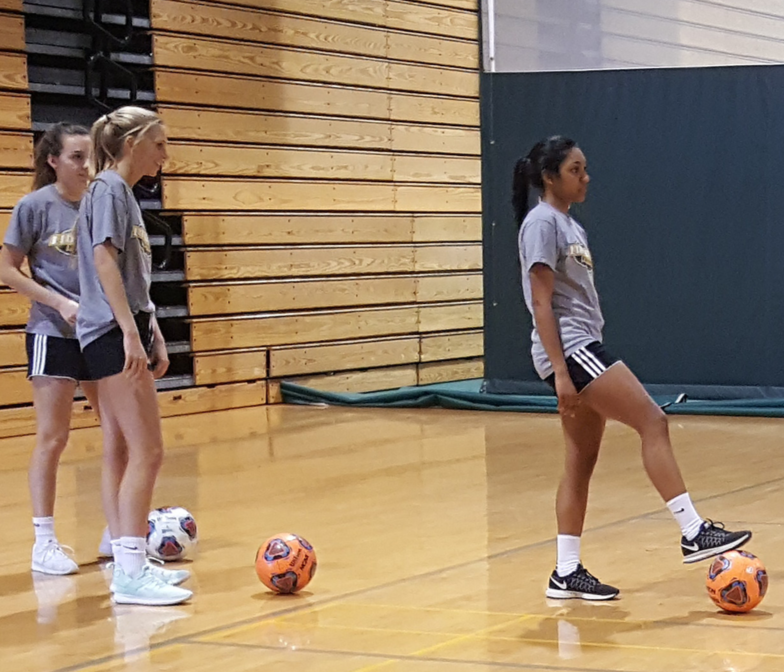 Ambition is one of the most determining factors of any team’s success, and women’s soccer is showing their fighting spirit by training in April for the fall 2018 season. “Right now we’re training for our spring season which is essentially our fall season,” Molly Dowd, freshman biology major, said. Typically, pre-season training begins near the middle of August and lasts for two weeks. 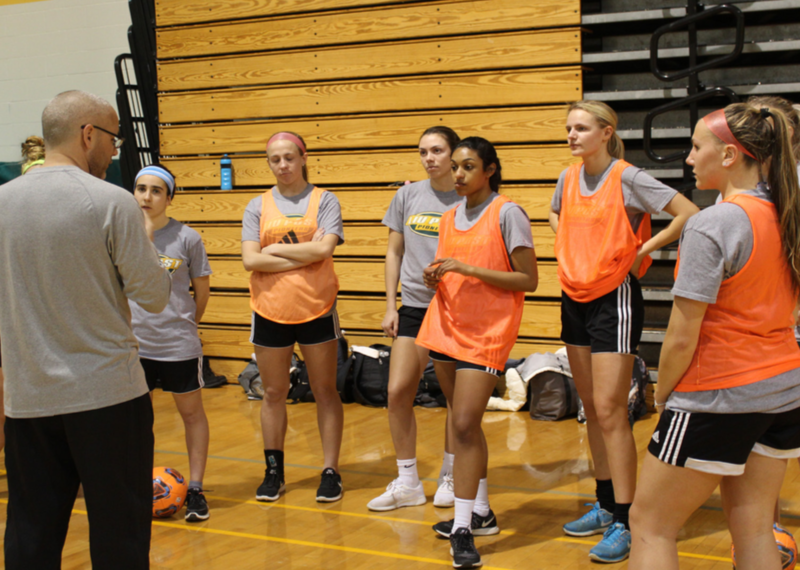 However, due to the short yet intense length of their spring season, the soccer team has already gotten to work strengthening their defensive techniques and individual skills. The games they will play will not count towards their NCAA ranking, as do their games from August to November, but they will be matched up with Division I teams from Hofstra University, Stony Brook University, and Wagner College. “We’re going to have a couple scrimmages to put ourselves together, see what we lost, see what we have, and fit the pieces [together] before wecome into fall,” Dowd said. 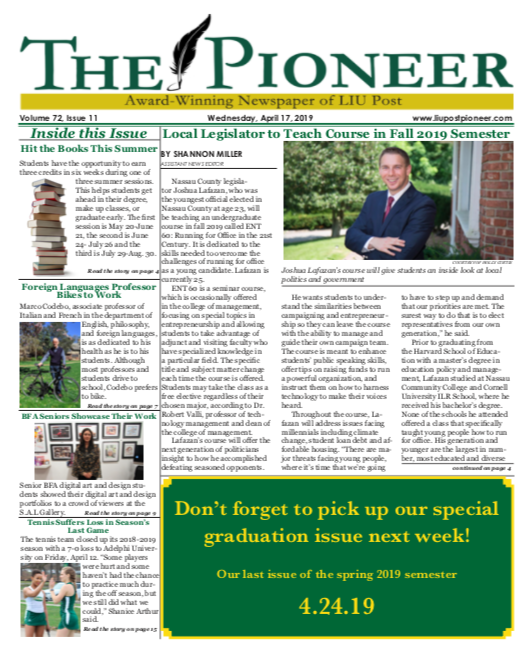 Since the Pioneers are in Division II, they consider this an opportunity for good competition and to gauge the current standings of their own skills. With many players graduating and leaving the team, remaining members have been working doubly hard to fill the gaps their upperclassmen left behind. “It’s a great opportunity for the younger kids to come forth with leadership,” Coach Mark Dawson said. Players have been adjusting well to their new positions, according to Grimes. The team is working diligently on improving defense. “We have a hard time sometimes getting back into our positions when there’s a counter-attack,” Grimes said. To compensate for this, the team’s attack strategy greatly counts on outside mid field players to get the ball to the other side of the field towards the opponent’s net. “We’re just trying to get each individual here better, and then the group better as a team,” Dawson said. Keeping physically healthy is a largely important factor in training, “In the matter of a week you could lose your fitness,” Shakila Sevanan, sophomore health science major, said. The athletes have been running track and lifting weights in preparation for fall games. The team is currently ranked 15th by the NCAA for Division II women’s college soccer, and they aspire to reach the final four by the end of the fall season. “Next year, we feel it’s really attainable with a lot of returning kids and a good freshman class,” Dawson said. Other sports teams currently in training for a non-traditional season include men’s soccer, football, field hockey, volleyball, and women’s tennis, according to Brian Hughes, associate director of athletics. Teams training in their active, traditional season are baseball, men’s lacrosse, track and field, equestrian, softball, women’s lacrosse, women’s golf, and women’s rugby.